Most recent: Lead Counsel on Golden Hour Data Systems, Inc. v. emsCharts, Inc. (Eastern District of Texas), Patent Infringement Case where Cabrera represented Golden Hour and secured a $33.5 million judgment. The Raillery LLC v. Jeffrey Lubin, et al. where Cabrera secured a $2 million jury verdict in a breach of contract matter. 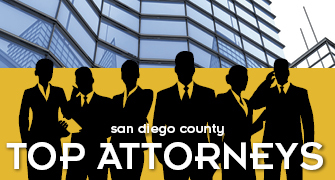 Cabrera has been an attorney in San Diego for more than 18 years. Prior to forming The Cabrera Firm, he was a senior associate with Cooley Godward Kronish LLP and an associate with Luce, Forward, Hamilton & Scripps LLP, where he specialized in business litigation, securities litigation, intellectual property and employment law. Cabrera presently serves on the board of directors of San Diego Convention Center Corporation, The San Diego LGBT Community Center and the San Diego County Taxpayers Association. From 2005 to 2010, Cabrera served on the San Diego Ethics Commission, which monitors and enforces the city’s governmental campaign finance and ethics laws, and proposes new governmental ethics law reforms. Cabrera was chair of the Ethics Commission from 2007 to 2009. Cabrera also has served as the chair of the San Diego Chief of Police’s Use of Force Task Force, chair of the board of directors of the Make-A-Wish Foundation of San Diego, and member of the Make-A-Wish Foundation of America National Board of Directors.